As you walk through the ever crowded streets of Hongdae, it is almost guaranteed that you will hear music and cheering. Upon following the sound, you'll discover musicians pouring out their hearts through song, dance, and many other genres. This culture of busking started in Hongdae a few years ago and has become a way for artists and musicians to express themselves freely. Anyone and everyone can simply just stop for a few moments on the street to get a peek; there's no need for a ticket like a regular performance. More than you would imagine, these street performers gain quite a lot of attention and there is usually a huge crowd gathered around them, making you even more curious to see what the hype is all about. Although these performers aren't necessarily famous, they take pride in their work and make an effort to make a unique impression on the audience and the level of excellence is constantly going up. 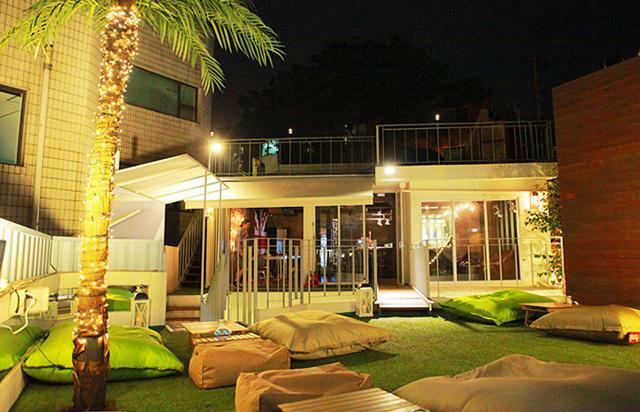 In the Hongdae vicinity, there are 10 clubs and performance venues that participate in "Hongdae Live Club Day" on the last Friday of every month. You get to hear Jazz, hip hop, electronic music, cross over, etc. Location : Line 2, Airport Railroad, Gyeongui•Jungang line, Hongdae Univ. Station - exit 8, "Hongtong Street" and the area across the street from Hongik Univ., the Hongik playground. Located in the Mapo area, the Nanji Hangang Park first opened in 2002 partly to commemorate the first World Cup in Asia. This park is a perfect venue for camping or barbequing but it also serves as a resting spot for locals. Many people come here with their friends or family and set up a tent while grilling some meat. Chimaek, the combination of chicken and maekju (Korean beer), is also an extremely popular snack that people like to enjoy outdoors. There's something about this that is so freeing; taking the comforts of fried chicken and pairing it with the breeze and the scenery. Yes, you can have both good food and good scenery. Getting chicken delivered to the river is also no hassle at all; just as if you were ordering from home, the chicken delivery systems of Seoul do not delay just because you are at a river. Take a piece of chicken in one hand and a beer in the other. As you enjoy the meal with the beautiful nighttime view of the city, you'll feel the dullness that is sometimes life lift from your shoulders. With Korea's delivery culture, all types of deliverable food such as Chinese food (jjajangmyeon), Korean food (kimbap, tteokbokki), and many more can be enjoyed right at the Hangang River. Take note that deliveries cannot be made to Seonyudo Park. The term "glamping" comes from combining the word "glamorous" and "camping." Recently, camping has gained popularity and with this, glamping places are also gradually receiving more attention. Glamping allows you to enjoy the fun parts of camping without having to deal with the hassle of setting up a tent, cooking food, etc. It's basically a more glamorous way to enjoy this long-time tradition. Decorated like a real camping site, the tents are comfortable and still allow you to enjoy nature. You'll probably almost forget that it's not real camping! Hours of operation for glamping are typically from 12-2am, the time of night where people tend to truly unwind from the day's hard work. If it's too difficult to get out of the city for a break, glamping might just be the perfect thing for you.